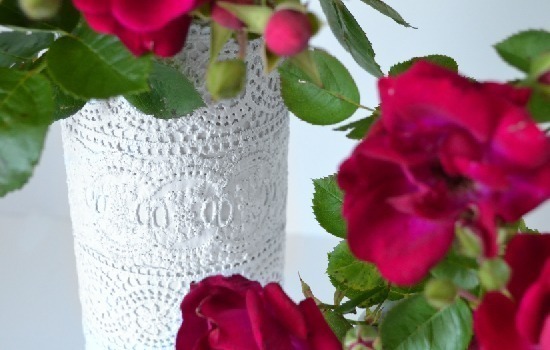 Today we are going to make some pretty and simple lace vases. Welcome to project #3 of Mod Podge Week! 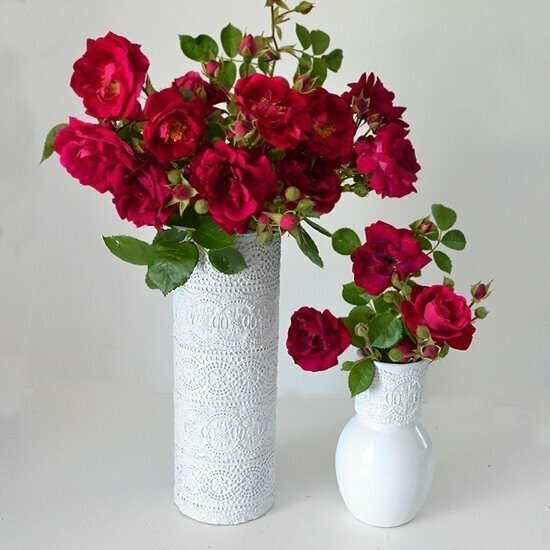 Today I’m going to show you how to make simple thrift store or clearance bin vases and turn them into something special with Mod Podge! Since I’m basically obsessed with lace it seemed the natural way to pep up these guys and I couldn’t be happier with how well they turned out! Here are my bargain bin vases for a buck apiece. I had actually seen the guy on the left when it was $3 and I balked at the price. But a buck? Heck yeah! 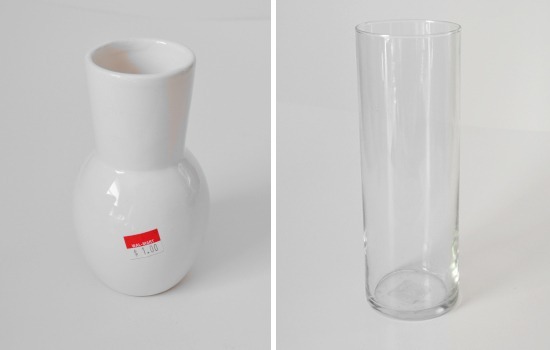 The vase on the right is really generic looking and you can find these in droves at thrift stores. On my little vase I just waned a lace accent around the top. I figured that the very rounded shape along the bottom would have caused issues with my ribbon lace. 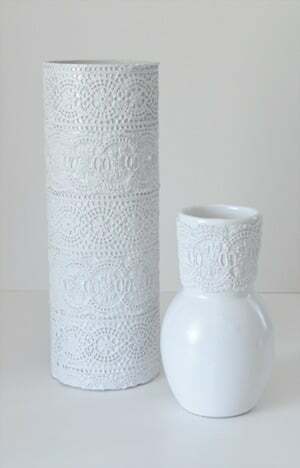 If I had used a solid piece of stretch or eyelet lace fabric I would have covered up the whole vase. 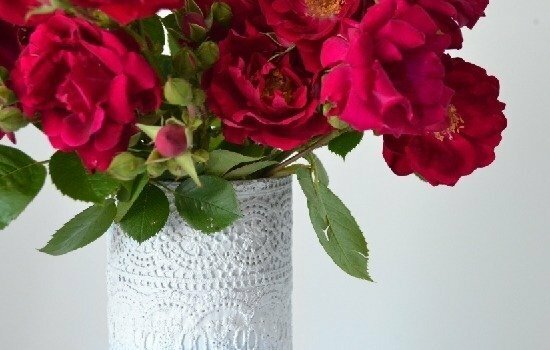 Smear the vase with a decent helping of Mod Podge and place the vase on top working in increments of a few inches. You’ll have to keep the lace down while the glue sets the lace in place. Here is my tall skinny vase. I gave it a quick few coats of cheapie white spray paint to keep the inside of the vase looking nice and clean. Not that the inside matters all that much but it might if you’re working on a glass hurricane or votives or something. 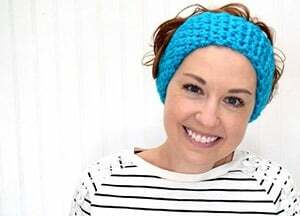 Keep gluing your lace down. On my bigger vase I wanted lace to cover completely. I made sure the first piece of lace bumped up evenly with the top of the vase to prevent trimming later. I figure if I accidentally cut wonky, it won’t be as visible on the bottom as the top. Allow the glue to dry a bit and the lace to set firmly before rotating the vase and continuing too glue down. When you reach the back where the lace will meet up, trim as closely as possible and glue down. 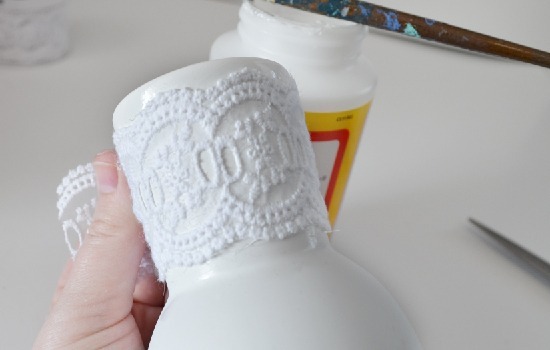 When dry go ahead and give the lace on your vases a healthy coat of Mod Podge to ensure that your lace goes nowhere. 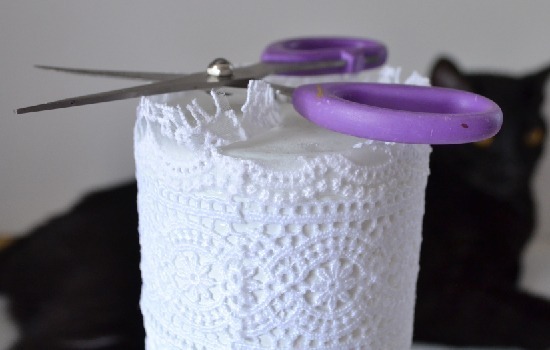 When fully dry your lace will be stiff or crispy making it fairly easy to cut. 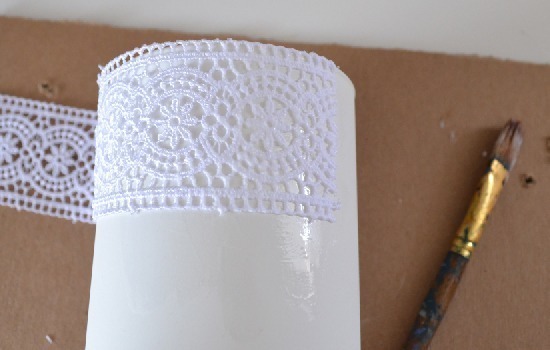 Trim up any lace that peeks over the bottom of the vase. And say hi to Max. Though you can barely tell in the photos above, the lace on my vases didn’t match up in color. One had a slightly blue hue and the other yellow. It was glaringly obvious and annoying. But luckily I had already gotten a new can of my favorite spray paint in the world, Rustoleum White Gloss Enamel. Rather than taping off anything, I turned my vases upside down so that the opening was on the ground and sprayed. I was a bit overzealous in the beginning so there are spots where the coverage kind of mucks up the texture of the lace, so take care to use multiple thin coats. To be honest I just can’t get over how pretty these vases are. Since I used the enamel spray paint the finish on the lace is very, very hard and it feels like the vases are 100% ceramic. I don’t think anyone would be the wiser that it is actually lace Mod Podged onto glass. And these roses are from my garden. Aren’t they pretty? They used to be a pale lavendar many years ago but have changed colors on me completely, like hybrids sometimes do. Max is apparently a big fan which is why my vases are sitting high up on the living room mantle where he can’t eat and subsequently be sick rose petals all over the place. Well that is that for today’s edition of Mod Podge week. If you missed out see the other two entries in my little self challenge: Mod Podge Light Switches & Outlet Covers and a Mod Podge Lamp at Mom Spark! 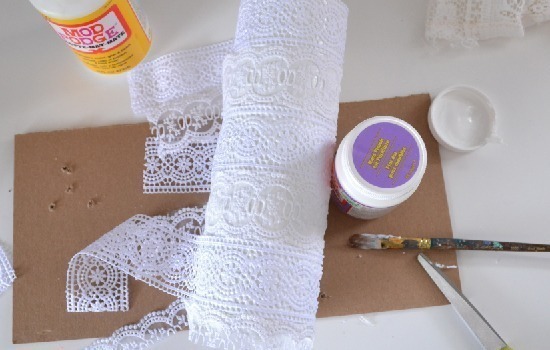 Mary – since I spray painted over the lace with a few coats of enamel spray paint the lace is pretty well protected. I've already cleaned after my rose wilted and it is doing very well indeed! I don’t know how late I noticed this since I was busy with university jazz since months but you’ve given your site a MAKEOVER! And I LOVEEEE it!